L-93 was developed through breeding efforts between Rutgers University and Lofts Seed over a period of ten years and released in 1995. Parental material and early selections were based on characteristics such as colour, growth habit and disease resistance. Selected material was maintained without fungicide applications with a view to identifying material with the highest levels of disease resistance. 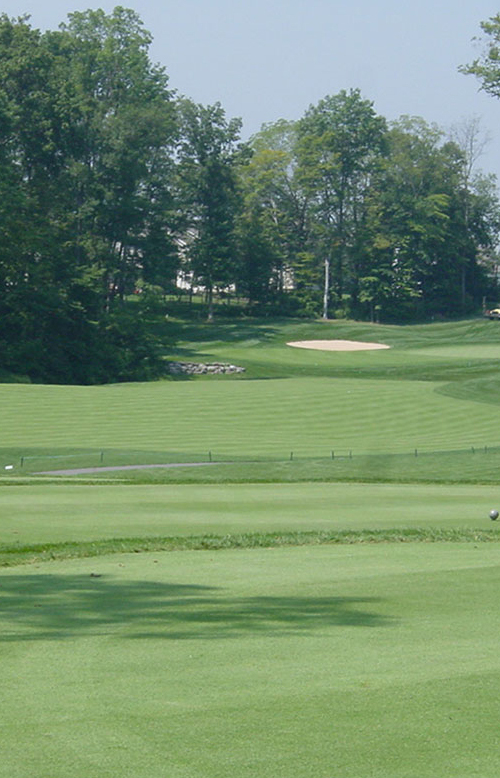 L-93 remains the top selling bentgrass variety in the USA and in South Africa. Its putting qualities coupled with its ease of management makes it widely acknowledged as the easiest new generation bentgrass to maintain. A lower fungicide requirement makes L-93 an integral part of an IPM (integrated pest management) programme and reduces management costs. 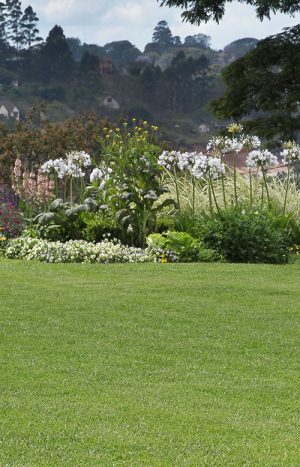 Although this variety has a fine and dense texture, it does not require an unusually high level of thatch management. Normal hollow tining practices and top dressing practices suffice. The improved dwarfness of L-93 contributes to its ability to thrive at low (3 mm) cutting heights although it performs equally well at higher cutting heights. Since it does not suffer from anthocyanin build up (leaf-purpling) in autumn, L-93 maintains its attractive colour in winter. Due to its heat resistance and cold hardiness, L-93 is widely adapted, performing well throughout the USA and South Africa. It is suitable for use on greens, tees and fairways, although bentgrass is not currently used as a fairway grass in South Africa. It can also be used on bowling greens and on lawn tennis courts. Sound greens construction is very important for the successful maintenance of Creeping Bentgrass. Good drainage is one of the most important attributes of a bentgrass green. The USGA has developed specifications for the construction of putting greens. For more information, visit the following web site: www.usga.org. Since it is expensive to construct USG Spec greens, compromised greens have become popular. Either way, it is essential to make use of the services of contractors who specialise in this field. Spring and autumn are best. Avoid extreme heat and cold. This is only relevant to the conversion of an existing green that is not being re-built. Allow the grass to grow out as long as possible so as to maximise leaf area for optimal herbicide absorption. Spray with a non-selective weed killer such as glyphosate (Roundup) and leave for two weeks to ensure that the grass is completely dead. If it is obvious in a week or so, that patches have been missed, then re-spray those areas. 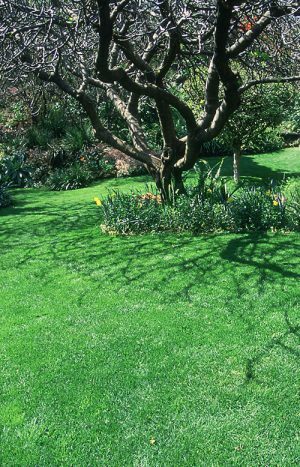 Cut the dead grass down as short as possible and scarify heavily to remove as much plant material as possible, and to open up the turf canopy. Sow the seed in two directions at a rate of 1 kg per 100 m². A gravity drop seeder is ideal, but the seed can also be mixed with sand and broadcasted by hand. Cover the seed with a thin layer of sand (maximum 5 mm deep) or use a steel rake to rake into the surface. It is essential to compact the area lightly. In this step is very important as it brings the seed into direct contact with moist soil, reduces wash-aways, and initiates capillary action (the movement of water upwards through the soil profile). The knobbly tyres of a green machine work very well, since they leave small indentations in the sand that hold moisture well. Keep the area moist at all times until the seed has germinated and the plant has developed a root system. Irrigation frequency can then be reduced. Spray a fungicide mixture to prevent damping off caused by the fungi Pythium and Rhizoctonia. Metalaxyl and chlorothalonil are often used at seeding and again 21 days later. It is important to note that golf course and particularly Bentgrass management should be undertaken by a professional greens superintendent. There are however some excellent publications on this subject. Start When grass is 10mm long. Mow at 6 to 7 mm for the first 4 weeks. Thereafter reduce until desired cutting height is reached. 6 to 7 times a week. Remember the 1/3rd RULE – Never remove more than 1/3 of the leaf blade at a time. Keep mower blades sharp to avoid tearing the leaf blades. A good irrigation system with even coverage is an essential maintenance tool. The green superintendent should be able to irrigate to meet the plant’s water requirements and syringe to reduce the temperature at the green surface. Water volume and frequency has to be determined according to weather and soil conditions. Overwatering should be avoided to reduce the likelihood of fungal infection. L-93 do best with light, frequent applications of fertilisation during the grow-in process. This is because of the initial aggressive growth of these grasses. Take careful note of the symptoms, i.e. spots on leaves, size and location of patches etc. and speak to a specialist in this field. Remember that insects and fungal diseases know nothing about straight lines, so if you see straight lines look for a man-made problem! Disease problems are greatly reduced through the use of varieties with good natural resistance that is suitable for warm/hot climates. Good air flow reduces humidity and helps to avoid disease. Don’t overwater or underwater – both cause stress to all grasses. Although L-93 is much denser than the old varieties, it is not susceptible to thatch build-up the way some of the extremely dense varieties are. Normal hollow-tining and verticutting programmes are adequate. 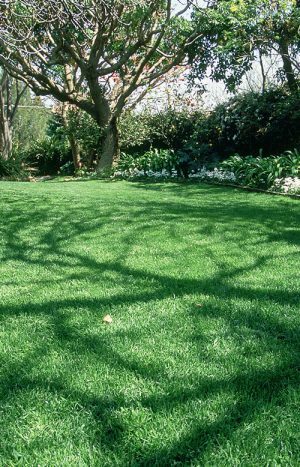 The best way to avoid weeds is to have actively growing grass forming a dense canopy that does not allow light through to the soil surface. Poa annua is the most problematic weed on greens. Ask a specialist before spraying a herbicide such as ethofumesate. Poa annua is most susceptible when treated prior to the four-leaf growth stage. When bentgrass is growing in stress (unfavourable) conditions, it will be more susceptible to phytotoxicity as a result of ethofumesate and other herbicide treatments.